Never miss a comment. Respond to customers faster. See all your social communications from Facebook, Twitter, Instagram and YouTube in one inbox. Find valuable conversations and tackle each message in order. Respond to customers faster with personal replies direct from your Smart Inbox. Instantly understand how to engage with a full history of past interactions. 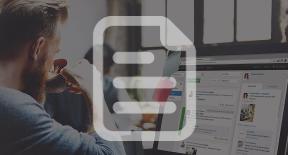 Share the workload and collaborate in real-time from one shared inbox. 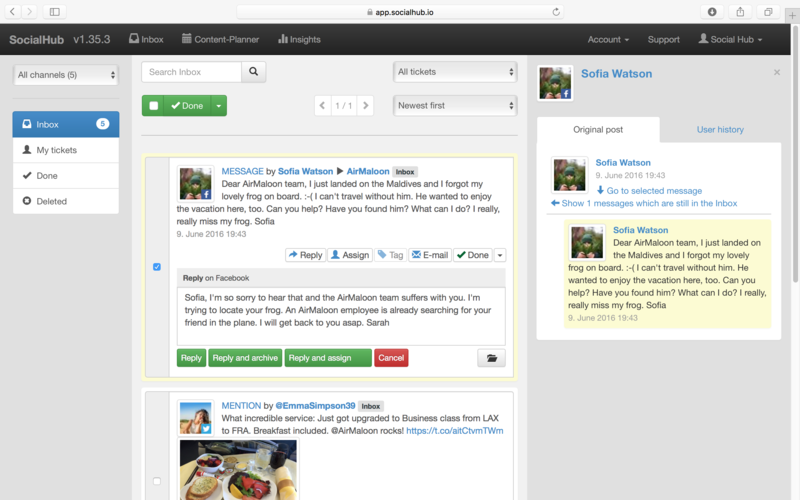 Assign conversations, track activity on every message and streamline approval systems. Work less and achieve more with our Smart Inbox. With our Priority Inbox you will be able to react faster. All important requests will be moved automatically to a separate inbox where you can reply faster to them. With the automated actions of SocialHub Smart Inbox you can automatically assign tickets to the Community Manager that is able to answer the request the best. That will help your team to do a better job. With Smart Rules you can define actions that will be executed, even when your team is not online. This means that posts, that do not apply to your netiquette will not appear on your page. Even at 4 am in the night. Receive every conversation from across your network directly in your Smart Inbox. Work through your messages one by one, mark them as complete to avoid duplicate work and never miss an opportunity to engage. See all your messages in one easy-to-manage folder and tackle them in order. 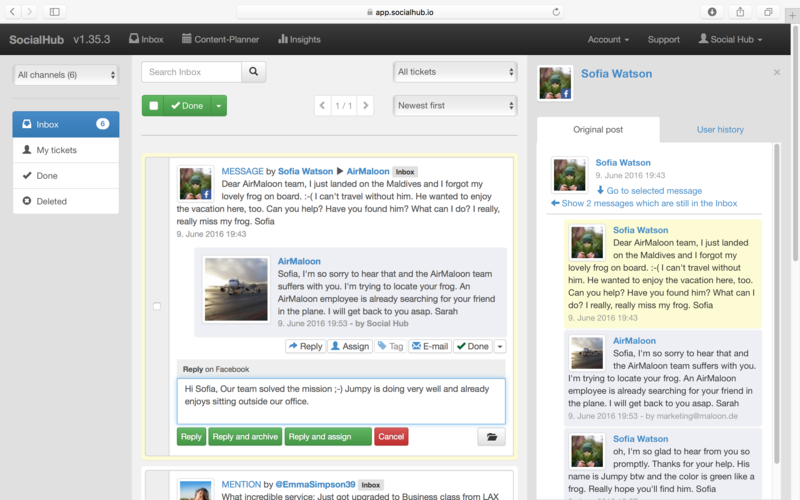 Turn any message into a task and assign to teammates to better share the work. 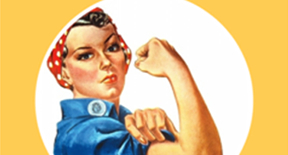 Get notified by email when you’ve a new task to do. Zero in on the conversations, customers and leads that matter most to you with powerful filters. Our social media engagement solution lets you effortlessly monitor keywords, hashtags and brand mentions. SocialHub saved us today. There was a large disturbance across the whole Cologne transport services net. Without the Hub we’d never have kept track of the thousands of questions. Save time. Get more done. Stop wasting time bouncing between platforms. Respond to customers straight from your Smart Inbox. Get immediate access to a full conversation history before you reply and interact faster with a personal response. Don’t write every response from scratch. Work smarter with templates for pre-approved, on-brand messages. 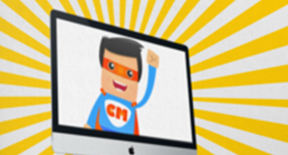 Create templates for replies you send out again and again and access them in just a few clicks. Find what you need fast with effortless search functions. Locate keywords, customers and influencers across all your channels. Filter the results and add tags to drill down to the most valuable insights.  Social media moves fast – our social media engagement software lets you keep up. With Smart Inbox you receive all your social conversations in 60 seconds or less. So you never miss an opportunity to engage. See all your past interactions with a customer in the conversation history. Know who in your team replied, tasked or marked the message as done. Instantly have the insight to start a meaningful conversation. 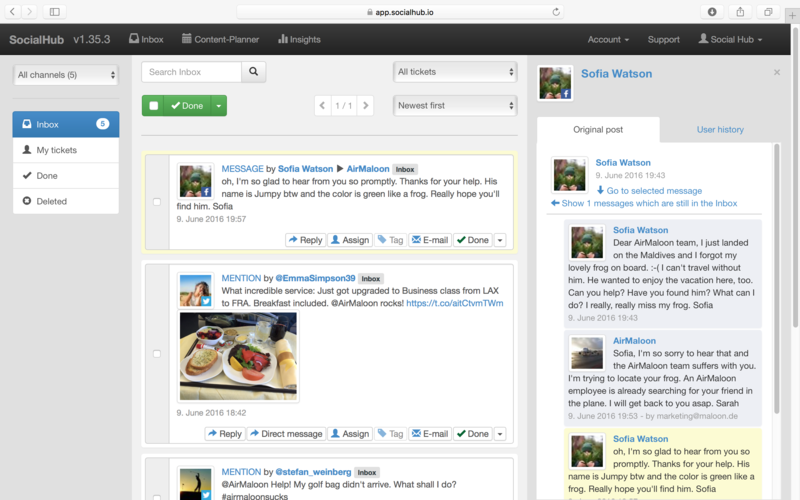 SocialHub has everything you need for a great community management. The tool is fast! New posts from Facebook appear quickly, which also allows for a timely response. Social media success is a team effort. Work efficiently with real-time collaboration tools. Assign tasks to teammates, collaborate on responses and see a full history of actions taken on every message. 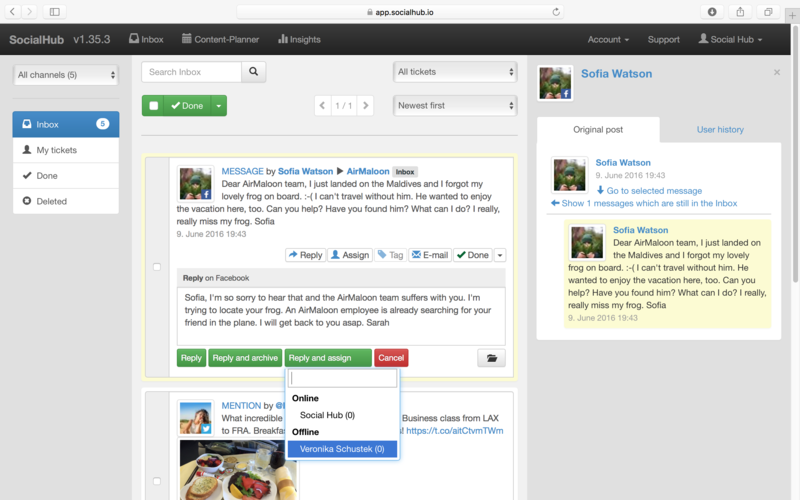 Optimize your social media management with streamlined message approval workflows. Get messages approved before publishing, discuss changes in real-time and always send out the best communication. Easily share your successes with the entire company. 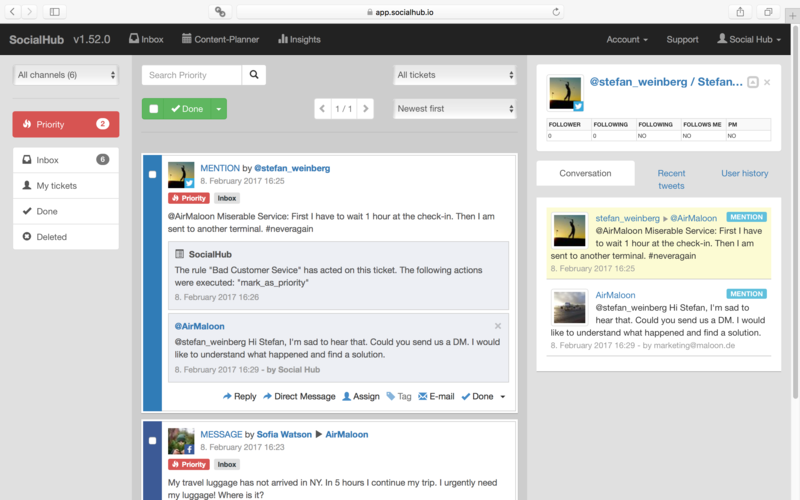 Email social messages to colleagues outside of SocialHub directly from Smart Inbox and empower your whole team with valuable social media insights.